It's Facebook Fridays! for April 6, 2018! 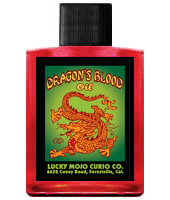 This week Lucky Mojo is giving away 8 free Dragon's Blood Oils! Can you use luck or protection in matters of money or love? Do you want to succeed? Well, our Dragon's Blood spiritual supplies may be just what you need! The Lucky Mojo Curio Co. is hosting a random drawing to give away 8 Dragon's Blood spiritual supply prizes traditionally used to ward off evil, draw good fortune, and to help seal a pact or promise. You can use this oil to dress candles, add a few drops to your bath, mark your personal space, or wear on your body as a lightly scented magical perfume. This week each lucky winner will receive a bottle of hand-made Dragon's Blood Oil. First thing tomorrow morning, we will select EIGHT winners at random, announce their names here, and ask them to message this Facebook Page with their mailing addresses, so we can send them their FREE Dragon's Blood products. Thanks, Ernie, for posting this to the Forum. I am going to Facebook to share it to my timeline. We have a winner! In fact, we have 8 lucky winners! Our Facebook Fridays! winners for April 6, 2018 are: Sherry Phillips Farley, Elvira Rose, Nick Bowden, Jerilynn Pearson, Courtney Francois, Jenise Nicholson, Susan Marie Coté, and Joanne Bigcrane.